Part of the fun of reading a foreign language is getting a very different perspective on issues. As a science-fiction fan, I've been curious what the Europeans would make of this year's "Sad Puppy" affair. Sure enough, I found an article about it in Le Monde, the French "newspaper of record." For anyone who's completely unfamiliar with the story, Wired magazine has a lengthy account of the Sad Puppies affair. So what did Le Monde have to say about all this? Here's my attempt at a translation. As always, I'd appreciate any corrections. The "Sad Puppies" movement, a politically conservative group of science-fiction fans, has lost their bet. During the Hugo Awards, one of the most prestigious science-fiction literary prizes, the candidates supported by the group were left empty-handed, with no prizes. The prize for best novel, the most prestigious, was awarded to the Chinese author Liu Cixin for "The Three Body Problem." The Sad Puppies presented themselves as defenders of a conservative type of science fiction and of the general public. For three years, they accused left-wing writers and readers of practicing selection by political correctness, which, de facto, excluded conservative authors. At the very heart of the Sad Puppies, a second group, the "Rabid Puppies," sometimes given to overtly misogynist and racist speech, formed this year under the leadership of a handful of ultraconservative writers. The Sad Puppies were accused of attempting a veritable hijack of the Hugo Awards ceremony, whose nominees and prize-winners are chosen by the vote of the public. During the nomination step, they had managed to place a very great number of their candidates in the different prize categories--in five categories only authors supported by the Sad Puppies were in competition. Nevertheless, this stunt seems to have provoked a storm of opposition to the movement--participation in the final vote, which is subject to purchase of a ticket to one of the greatest science-fiction conventions in the world, greatly increased for the 2015 gathering. About 6,000 people participated in the final vote (almost a 60% increase over what was reported in 2014), and the result ended in a debacle for the Sad Puppies. None of the candidates featured on their list of "recommended votes" received a prize--in the five categories where only candidates supported by the group were in the running, the voters preferred to award no prize. Le Monde generally gets a better quality of comment that most web sites, and since there's only one so far, I'll translate it too. Obscurantism reveals itself in all climates. I understand these individuals perfectly; they are totally correct to distrust ideas that depart from the traditional frame of Earthlings. Have no doubt, these writings amount to the promotion of reconciliation with aliens and of transcendence without religious basis (if you doubt that, see the Hyperion Saga). Worse, there are even brilliant writers like Lois MacMaster Bujold (Vorkosigan saga) capable of very subtly defending feminist theories! Oh, bring on Farenheit 451! Well, the comment was hilarious. I had half-expected the article to make a connection between the Puppies and the various far-right groups that are vexing Europe, but it never did. Perhaps it's only people in the US who think they see that connection. I didn't find anything in Italian, but I did find a Spanish article about the Hugo Awards in El País, the big Spanish newspaper, but it focuses on the marvel that an American award went to a Chinese writer. It devotes only two-and-a-half paragraphs to Puppygate, much of it material translated from English-language sources. La Sombra del Viento: A fun read for advanced readers. 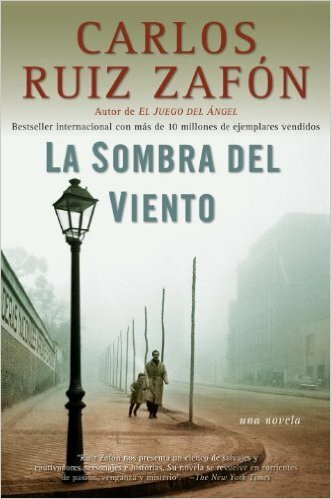 I really enjoyed La Sombra del Viento (El cementerio de los libros olvidados nº 1, Carlos Ruiz Zafon, 2009), but it's not a book for an intermediate reader. A B2 reader aspiring to become a C1 reader could attempt it (and probably should consider it seriously), but a weaker reader will be overwhelmed. Right off the bat, let me say that nothing magical or supernatural happens in this book. Some of the reviews (even the professional ones) leave that impression, but there are no ghosts here except the ones in people's minds, and there are no angels or demons except the human kind. Those, however, are plentiful. This is not a Young Adult novel. Yes, the protagonist is only 10 years old when we first meet him, and he's only 19 for the rest of it, but this is literature, and it's targeted at an adult reader. It's a thrilling story, but the book is not a thriller. In post-WWII Spain, during the time of Franco, Daniel Sempre, the young son of a bookstore owner, comes across a captivating novel titled "The Shadow of the Wind" (La sombra del viento) by a Julian Carax. He loves it so much, he wants to find more books by the same author, but despite the book being relatively-recently published, he has trouble finding out anything about it or its author. Both he and his works appear to have vanished with hardly a trace. Initially just from curiosity, Daniel tries to investigate the mystery. He finds some clues, and he meets some resistance. He makes unexpected friends and enemies, he falls in love, he travels all over Barcelona, he crosses paths with the local police and even tangles with Franco's dreaded secret police. The more he learns, the more he realizes that something truly monstrous happened back before the war, and the more he wants to know exactly what that was. But, whatever it was, it hasn't finished happening, and he finds himself in the heart of it. The book never gets dull, and the tension builds right up to the climax. The degree of difficulty is almost entirely due to the vocabulary, which is extremely large. There are a few words I couldn't find at all, and I suspect those were borrowed from Catalan, but the enormous vocabulary of ordinary Spanish words is the real challenge. With a Kindle and a dictionary, it's not impossible, but, as I said above, if you're not already a fairly strong reader, you're likely to be doing so much of it that it'll spoil the fun. If you do attempt it, I strongly recommend following a policy of trying to use the built-in monolingual dictionary and only resorting to a bilingual dictionary if that fails. If you're strong enough to read this book, you should be strong enough to use the monolingual, but, more important, a lot of this vocabulary just isn't going to be listed in any of the bilinguals currently available on Kindle. 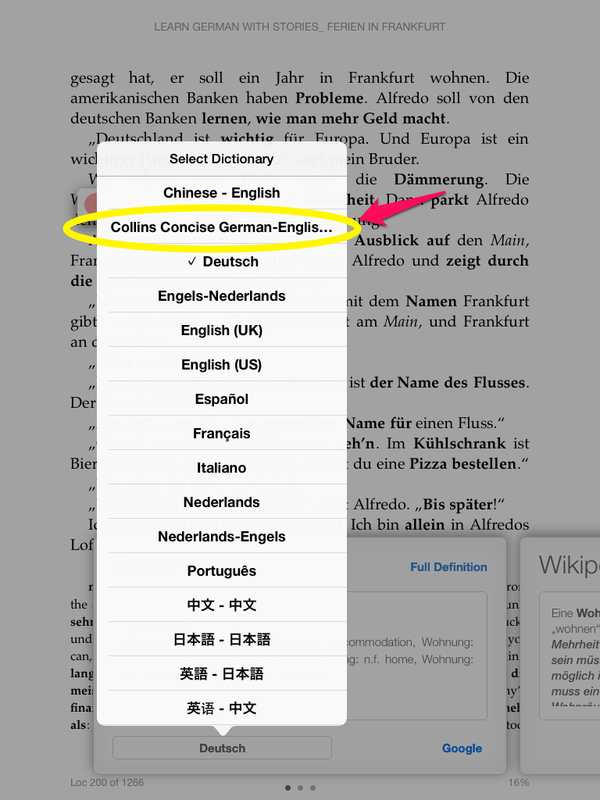 In a pinch, you can open the monolingual dictionary as a book and use the bilingual dictionary to help you read the definitions. I tried something a little different this time. Beyond just reading it on the Kindle, I highlighted all the words I had to look up and, for the first 10% of the book, I created flash cards for each such word. I used Anki's basic template, not the fancy two-way template I usually use, because I wanted to minimize the effort. That is, I only studied how to translate Spanish words into English--not the other way around. I persisted with this for the first 10% of the book. It was way too much work. Yes, it did help speed up my reading, since, like most authors, Zafon tends to have some favorite words and expressions that are otherwise uncommon. But the effort was so great that it detracted from the fun of reading, so I gave it up at about the 10% point. Part of the problem was that the list of words grew too fast. Anki generally only wants you to learn 20 new words per day at most, but I needed over 100. That turned out to be agonizing. Another problem was that the chore of simply creating the words was unpleasant, owing to the fact that the Kindle app on Windows wouldn't let me copy/paste text, so I had to retype everything. I still think this would be a great approach, but Amazon would have to help. First, for each word, it would be nice if Amazon could tell me how many more times I can expect to see it in the book. Words that don't occur again, I could skip. Second, it should help me generate the cards in the first place. Kindle users are probably aware that Amazon does in fact have a "Vocabulary Builder" feature that purports to do just that, but, unfortunately, it doesn't really work. First, it doesn't create cards for root words--only for word forms. So instead of one card for colgar you'll end up with separate cards for colga, colgó, etc. Second, instead of a simple definition, it shows you the original sentence you read it in, which makes the review too easy. Third, it cannot handle phrases at all. There's no way to make dar con a single card. Fourth, there is some sort of memory leak in the software, and the more cards you create, the slower your Kindle becomes, until it reboots itself. Unfortunately, if you turn the feature on, it creates a card for every word you look up--including ones where you say "Oh yes, I knew that" as well as ones you only looked up to verify that you really understood them. Despite the challenge of reading it, I really loved this book. I'm powerfully tempted to read the other books in the series. Feel free to review the list of foreign novels I recommend reading as well as reference books I use for learning how to read foreign languages. 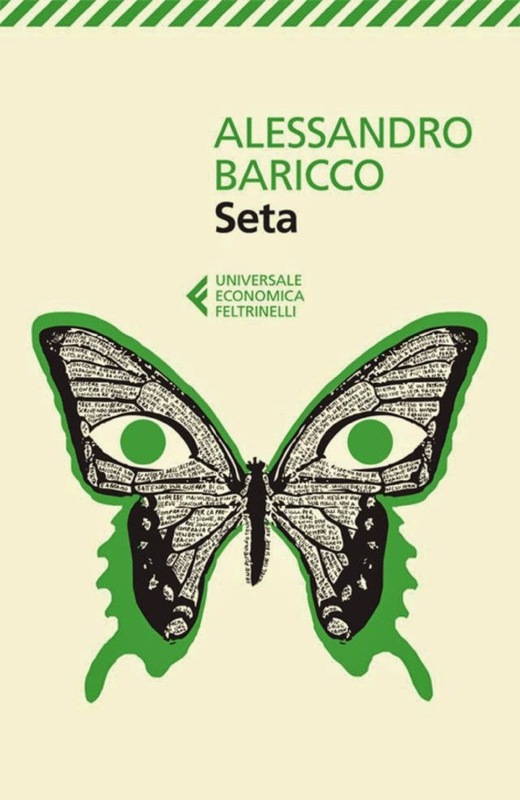 Seta (2008, 108 pages) is a quick, easy read: ideal for someone's first attempt to read an Italian novel. Hervé Joncour, a young man in 19th century France, tries to save his town's silk industry by smuggling silkworm eggs out of Japan. Although he's happily married to Hélèn, he becomes obsessed with a girl he meets in Japan. But Japan, newly opened to the world, is sliding into civil war. The silkworm spins a cocoon from a single, kilometer-long thread. From such threads hangs the prosperity of the little town of Lavilledieu, which specializes in silk making. When a silkworm blight starts killing European silk worms, the citizens have to send someone to find replacements. Every year, Hervé Joncour has to travel across the world to buy millions of eggs and get them back to France before they hatch. Each trip takes months, while the world around him keeps changing. And even when he's back in France, he can't stop thinking about a mysterious girl he met in Japan. One who makes him eager for each return visit, even as they grow more and more dangerous. This is an excellent first novel for someone ready to make the leap to reading Italian. Other than a limited amount of silkworm terminology, Seta doesn't demand a lot from the reader in terms of vocabulary. Like any Italian novel, the narration makes heavy use of the passato remoto, but the only forms you have to learn are the 3rd-person singular and plural. 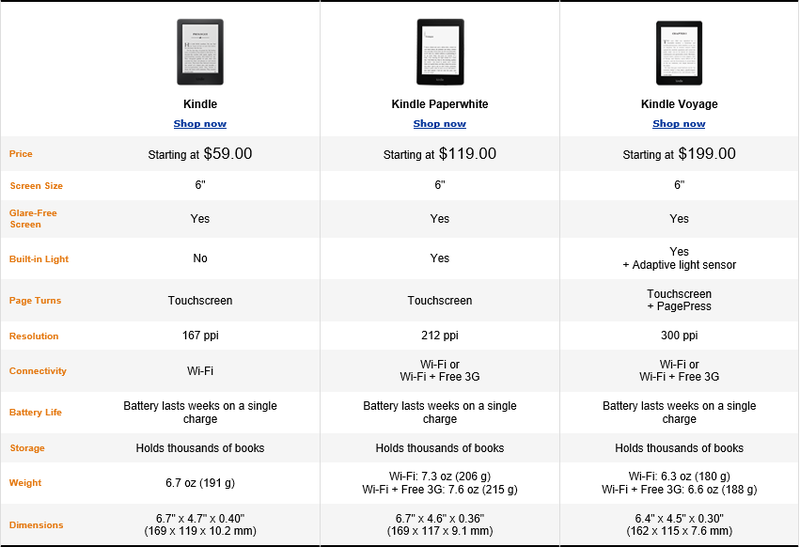 The 108 pages are divided into about 65 little chapters, many of which fit on a single Kindle screen. This gives you an incredible sense of accomplishment when you're reading it because you can knock the chapters off in rapid succession. One chapter is very sexually explicit. Very. That may be a problem for some readers. Others, having read this warning, may be disappointed that that chapter is quite out of character with the rest of the novel and very near the end as well. The ending may present a different problem; I noticed that some reviewers complained that it left loose ends. Seta is literature, not action-adventure (although there's a fair amount of action and adventure in it), so it's really about Hervé Joncour's own issues and contradictions, and it's over when those are resolved. In that sense, there are no loose ends. It really is one long thread. Feel free to review my list of foreign novels I recommend reading as well as reference books I use for learning how to read foreign languages.